Pricing plays one of the basic roles in stimulating users to order from your site. App by our team not only helps customers of the site to visualize and compare several price offers fast and simple. It also contributes to uplifting conversion by using the latest tendencies in design and layouts. Get sales of your site to another stage, using smart pricing. 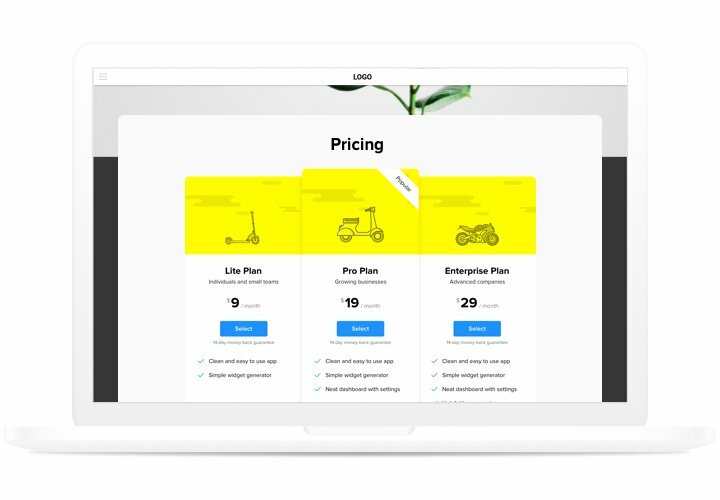 Use various efficient tricks of pricing creation, to crash all fears and doubts of your customers that may appear on their way to buying, and have the best possible conversion. Setting app in just 90 seconds. Spend a couple of minutes, to generate an ideal app. Choose all necessary parameters of interface and detailed info to display it in just one click. 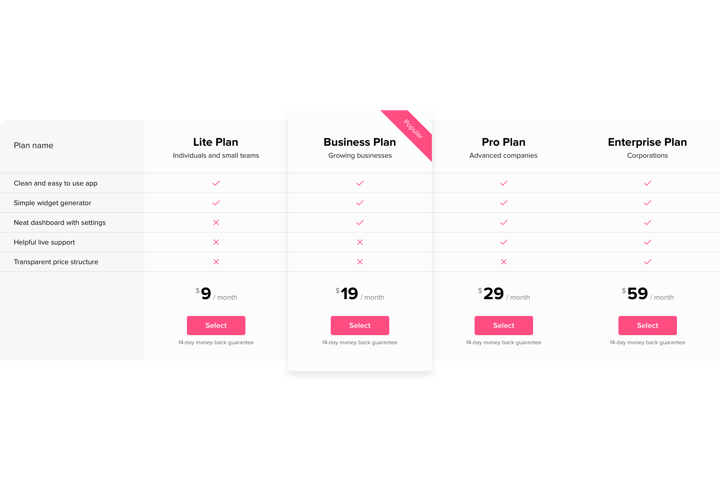 Make your pricing attractive for clients. 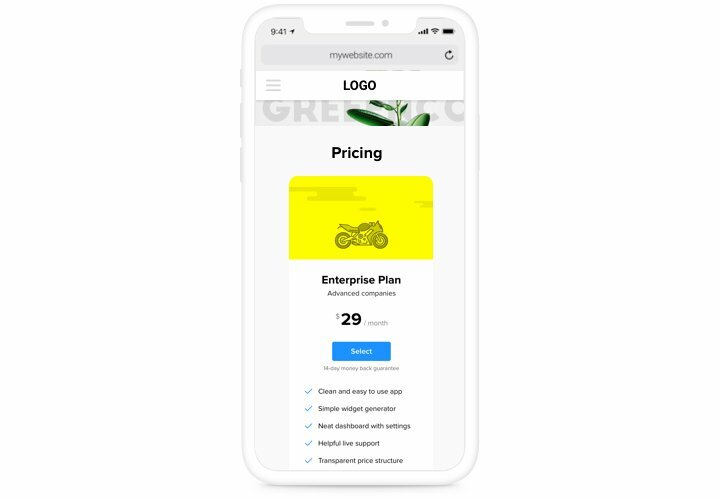 Change diverse colors, place units, add images, to make your pricing attractive for clients and bring positive influence to the buying decision. 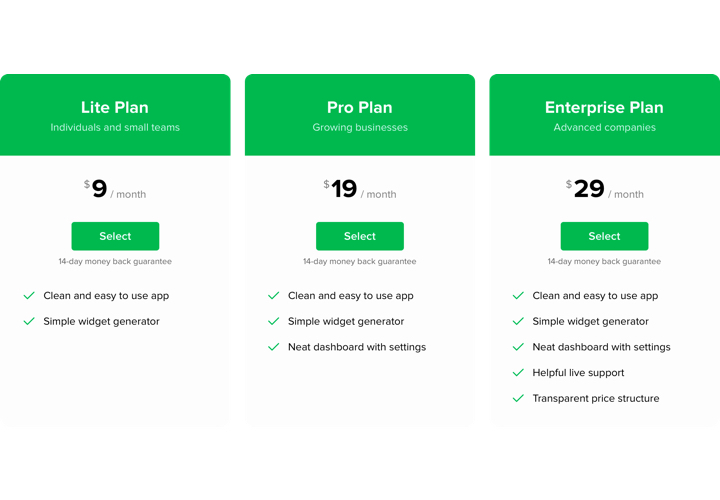 The advantages that make our app into the best Pricing Table for Wix websites. A instruction on integration of our app. To carry this, you will not need knowledge in programming or much time. Just several quick actions and3 minutes. 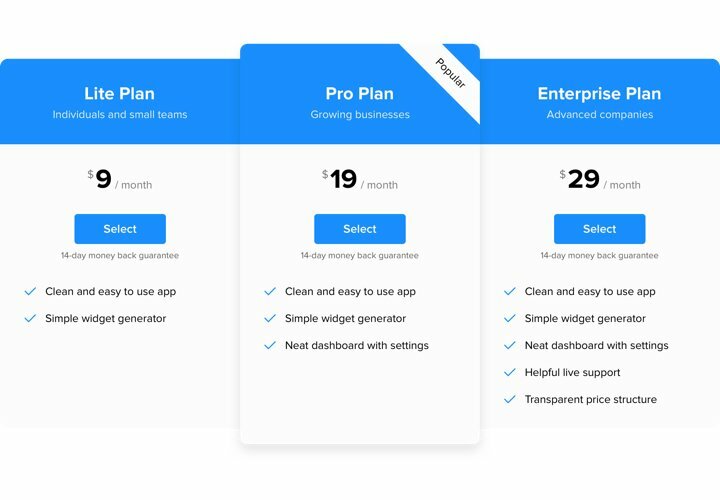 Build your unique Pricing Table. With our free editor, create a widget with necessary look and functions. Copy a code for adding the app. After widget creation, obtain a code for Pricing widget from the appearing window on Elfsight Apps. Place the app on Wix website. Show the widget to the desired spot of the website and publish the changes. You fully accomplished the installation! Experiencing queries with setting up of the app? Check our thorough instruction «How to display pricing table into a Wix» or address our customer support, which will solve any kind of issues quickly. 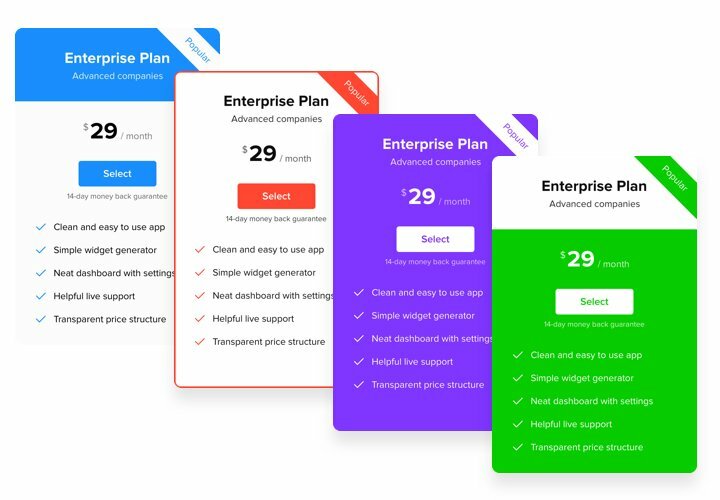 Built the best Wix Pricing Table in just 60 seconds!